My friend Leah has done thankfulness posts during the month of November for the last couple of years, & I think it’s an excellent idea so I’m going to steal it. I’ll probably combine days because November is NaNoWriMo, and we all know how that goes, but here’s Day 1, on time. I’ve never really gone into a lot of detail about my romantic life, historical or present, in this space. 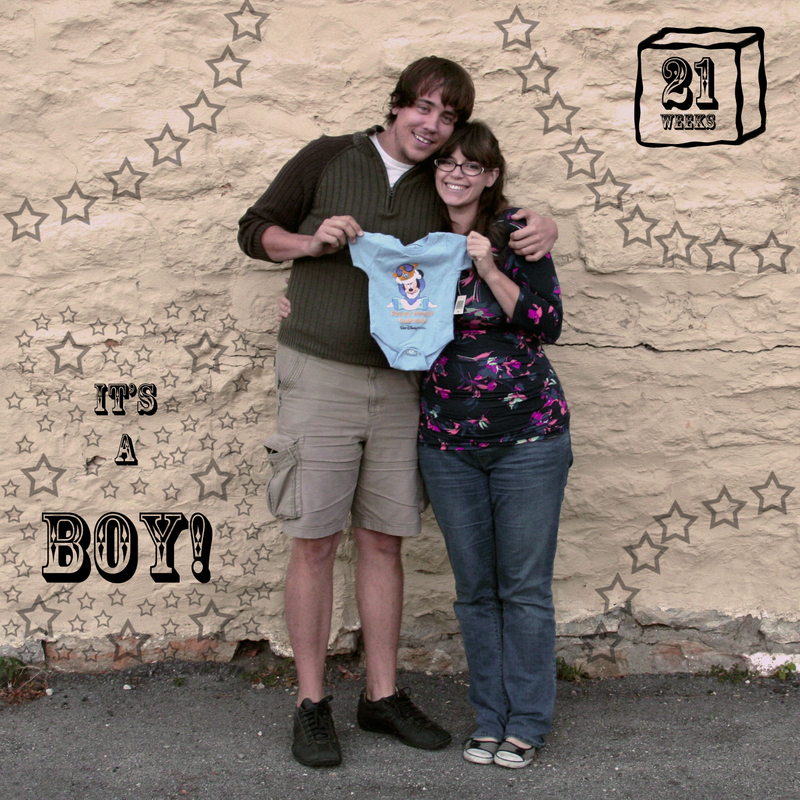 But if you read this blog regularly, you know that I’m expecting a kiddo in March, and if that’s not a good reason to share a bit more about the person with whom I’ve created an actual human being, then I don’t know what is. So here’s a little history. On February 26, 2011, I laid eyes on this cute barista at Borders. I know the date because I came home and tweeted, “Dear Overcaffeinated Barista: You are so obviously way too young for me, but I will flirt with you shamelessly anyway.” This “boy,” as I used to call him, had captured my fancy, and I later found out that I had captured his, too. I also found out later that he was indeed too young for me — six years my junior, the same age as my middle sister. For a horrifying two months of every year, I am actually seven years older. I’d never really planned on being a cougar or a cradle-robber, but sometimes fate has other ideas, I guess. His incredibly tender heart. I don’t know how his heart has remained so pure given some of the cards life has dealt him. I know my own heart has suffered some cynicism and bitterness, but there is so little of that in him. He is so kind, so gentle, so incredibly sweet. I know those are generic terms, but I don’t know how else to describe this aspect of him. I am so often genuinely in awe of how he sees, experiences and reacts to the world. His progressive views on women. This may seem like a strange item for this list, but, as a strong-willed woman myself, this is a Big Thing. Many men talk the talk of feminism, but I’ve found a good testing point is what they think about a woman changing her name once she’s married. I’ve always felt very attached to my name, and I never really wanted to part with it. I did change it once, because it was very important to someone else, and I never felt fully comfortable with the other name. Returning to my maiden name was such a relief, and I vowed then and there to never, ever change it again. T understands and supports that. Even more so, he has no problem with hyphenating our child’s last name. There never had to be a discussion. I never had to explain why it was important to me. It was essentially a given, and that meant so, so much to me. The fact that we’re on the same page about so many things. Politics. Religion. Philosophy. Marriage. We have our differences, of course. But on the big issues, we’re right there together. And on the smaller ones, we can discuss and enlighten rather than argue. His support of my dreams. I haven’t always had the kind of support system where I felt encouraged to spend hours locking eyes with a computer screen. When I first took up writing, my friends and even my family often thought my dedication was weird, or that I was trying to escape my life somehow rather than pursuing what I feel meant to do with my life. For T and me, that’s always been part of the package, but from the very beginning, there was never any drama about it. I’ve never had to worry that he feels neglected. Quite the contrary, when I haven’t been spending much time writing, he encourages me to get back to it. In the summer of 2010, when my depression had taken away my drive to write and blocked me creatively, it was his simple request that I not stop writing that put me back in the saddle. Sometimes we just need someone to believe in us, and he did that for me, and he continues to do so today. His own creative soul. I think part of the reason he supports my dreams is that he has his own goals to pursue. He writes as well, and he is an incredibly talented artist. The way he spins words, especially when he’s passionate about something, makes my heart swell. He has such a strong desire to share that passion with others. Even though he sometimes doubts circumstances will come together, I know without a doubt that he will be an amazing professor some day. Him as a father. I will close with one more story that encapsulates for me why I am so incredibly thankful for this guy of mine. When I found out I was pregnant, to put it succinctly, I freaked the eff out. It was unexpected, and while I knew I could handle it (in fact, I’d come to terms with the notion that I’d end up doing it on my own one day several years down the road anyway), I had no idea how T would react, and I was afraid the news would devastate him. He is young, after all, and while I knew he wanted to be a parent some day, “some day” was the key phrase. I ran every single worst-case scenario in my mind, including the most heartbreaking one of letting him walk away, taking my heart along with him. I had a good eight hours to run these scenes, mind you, so I felt I was pretty prepared for any reaction. I was wrong. When I managed to get the words out, there was no pause, no hesitation, no moment of doubt. There was only his smile, and then his immediate embrace. And in that moment, I knew the three of us would be OK, and that I could be happy and excited and treat this surprise like the miracle it is. Throughout this pregnancy, I’ve never felt like I was doing any part of it on my own. He is involved, supportive, excited, over the moon at everything. Even when I express amused annoyance at his near-constant rubbing of my belly, I am honestly just so, so grateful that this little boy inside me has the amazing luck to have a father like T. He will grow up so loved and so celebrated and no doubt just as in awe of and in love with his father as I am. We are both so, so fortunate. Because I, somehow, missed your Big News at the time, I’ve felt badly that I never offered congratulations. Your thankfulness seemed like a suitable opening. Best wishes to you and T and Number Three.